Pfleger provides a case study to prove his theory. A client used traditional internal combustion lift trucks to stack their product on the ground. 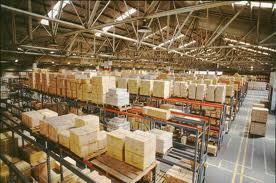 The client had no expertise in warehouse management methodology and operation. However, despite this, by utilising this technique they were able to increase the amount of product which they handled by 100% the following year. The solution ended up being a total shift in warehouse management to narrow aisles with the addition of a second-level of order picking. “It was simple enough to add a second level of racking in the 5- to 12-foot pick zone, and the customer was able to meet their expected growth.” Pfleger said. The transition in warehouse management from a system of standard aisles to a system of narrow aisles in your warehouse or storage facility can transform a few feet of space per aisle into productive space. When a building utilises an extremely narrow aisle system they are able to take advantage of the subtle differences in the size of product dimensions to utilise their floor space further. An example was provided by Pfleger of a customer who utilised a slightly thinner model of lift truck. This change enabled the warehouse to add three more aisles of shelving, which resulted in an overall increase of 2% to the sites storage capacity. This can be cost effective way of increasing your storage capacity and revenue without performing any physical expansion to the size of your premises. 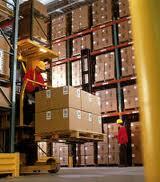 This entry was posted in Warehouse Management and tagged warehouse management on October 24, 2013 by admin.